The unique bridge was moved to this part of Salado to keep pedestrians safe as they walk through the impressive Salado Arts District. One of many patented truss designs developed by American inventors and engineers in the mid- to late-19th century, this 87-foot lenticular truss bridge represents an unusual truss type in the United States. The lenticular design features a curved top and bottom chord which forms a lens shape. 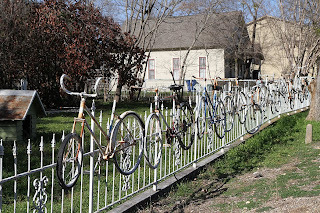 The patent, issued to William O. Douglas of Connecticut in 1878, was the only one given for a lenticular truss bridge in the United States. Most were constructed in the New England area and in New York state. 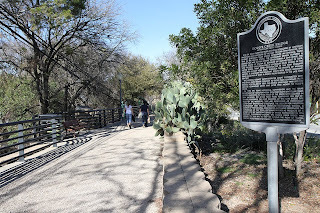 Through the efforts of William Payson, a salesman for Douglas' Berlin Iron Bridge Company, Texas acquired at least a dozen truss bridges in the late 19th century. The Coryell County Commissioners Court contracted with the Berlin Iron Bridge Company to build four lenticular truss bridges for $16,500 in 1889. 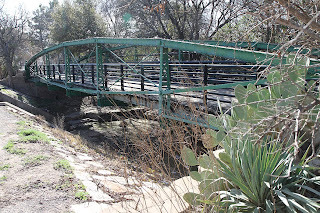 This bridge originally was located across Cowhouse Creek and later was moved to Dodd's Creek. 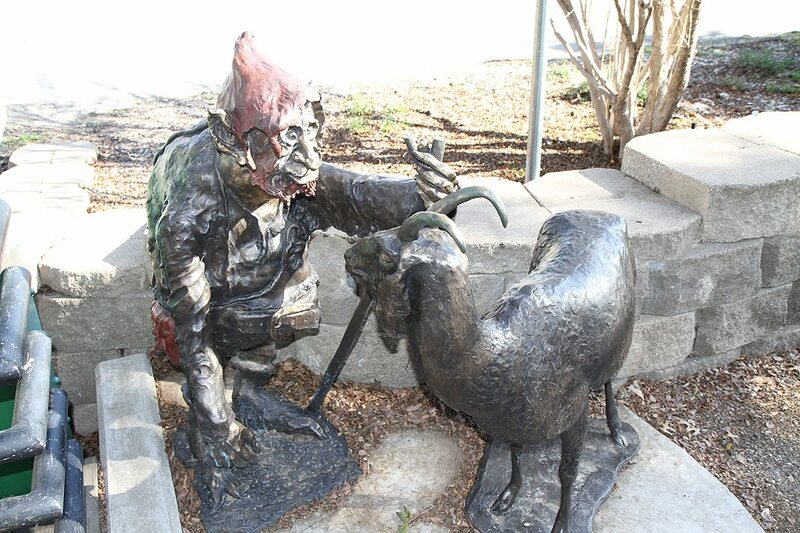 Like any good bridge, this one has a troll protecting it as depicted here in the sculpture "Billy Goat Gruff" by Troy Kelley. 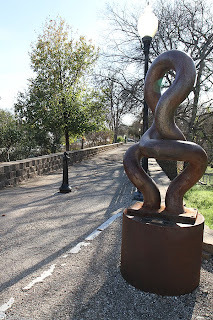 The other side of the bridge has a sculpture titled "Lovers" by Aaron Gist. 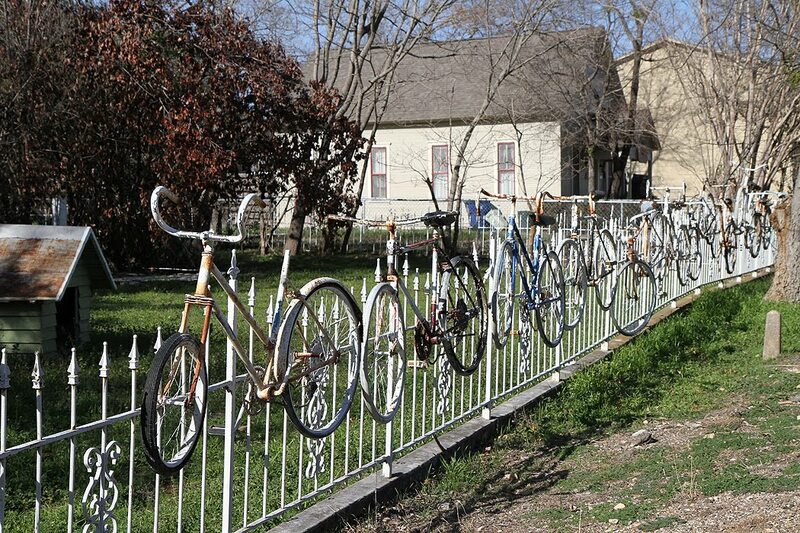 And after you cross the bridge you are greeted by what can only described as a "Bicycle Fence."